Hello people! 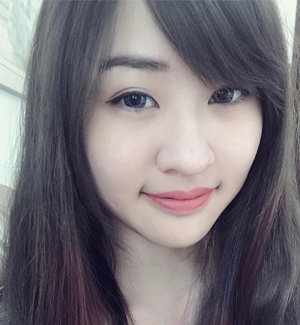 I just want to let you know that I am still alive LOL. Anyway, I've been on and off for quite some time in the blogging community and the main culprit is my motivation. I was lost for a bit and I took my own sweet time to find what I really want to do with blogging. Turn out, I really want to share my stories with you guys. So here I am, sharing you my current love on BB cream. This product has been raved since its first launch and received lots of positive feedback about it. 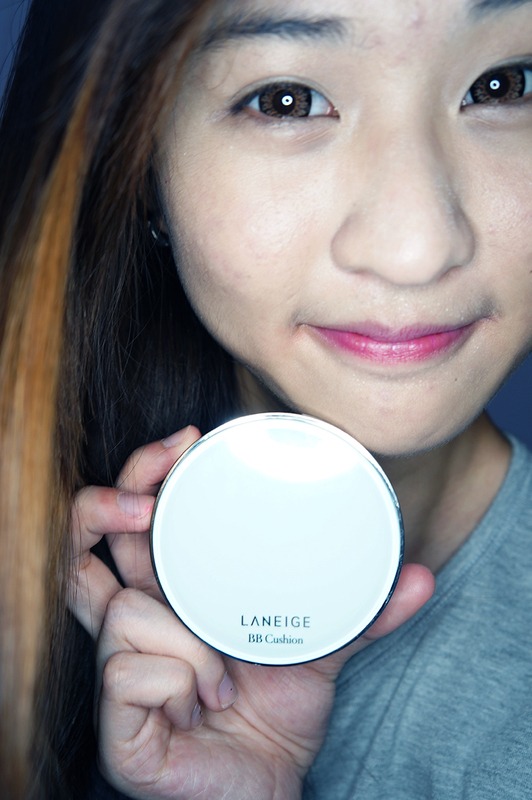 Thanks to Janice, whom constantly poisons me with this raved product: Laneige BB Cushion, I've decided to give it a try. TL;DR: This is really good, I love it for not clogging my pores and moisturises my skin at the same. 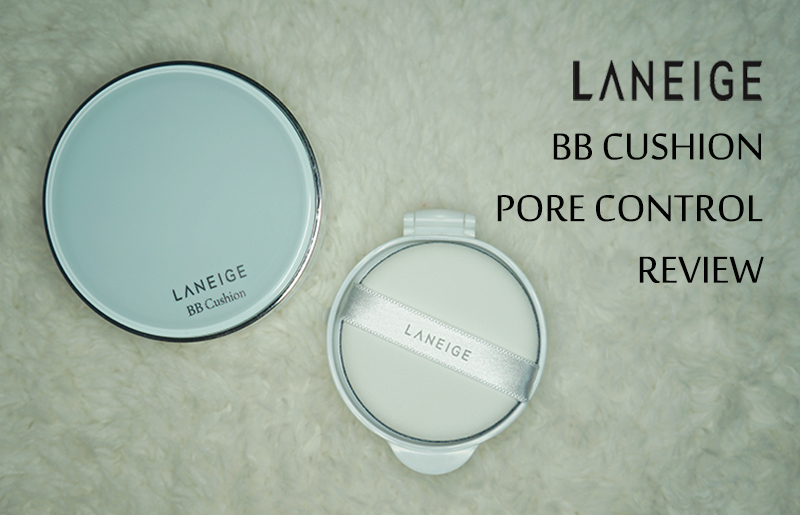 Laneige BB Cushion has double-layered container that keeps the sponge and cushion separately. This invention also keeps the cushion contents isolated from heat so that it stays refreshing and moisturising on application. 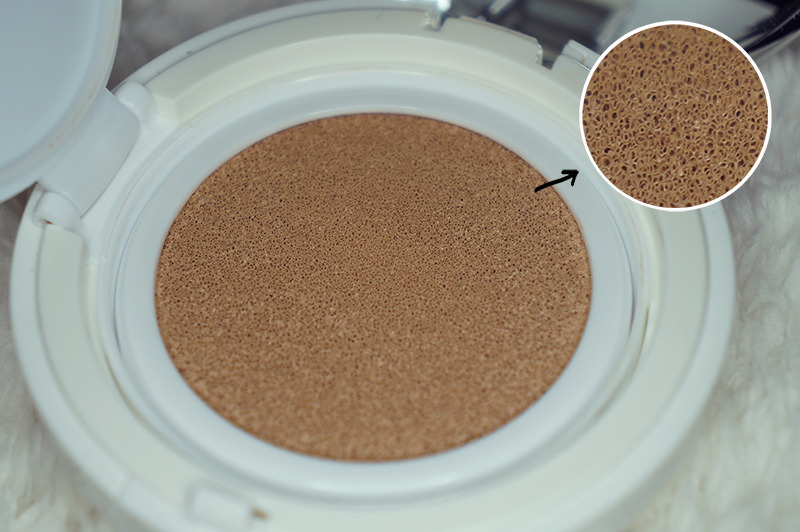 The BB Cushion is in liquid form. Upon application, the skin feels cold and it is easy to spread on the skin too. 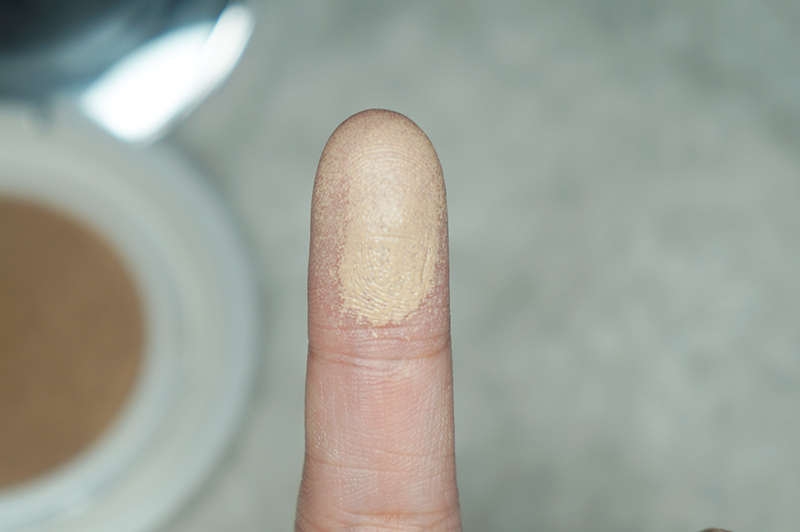 The shade looks quite deep with bare eyes but when I put it on the face, the shade actually matches well to my skin. This is a miracle sponge, which can make the skin looks perfectly smooth with "dapping" motion. This is a Air sponge and it picks up the smallest amount of BB Cushion and distribute evenly on the skin with "dapping" method. I would recommend you to use makeup brush cleaner to cleanse the sponge, it is easier that way. You can also try other method suggested by Edward Avila here. Excuse for the dirty sponge. 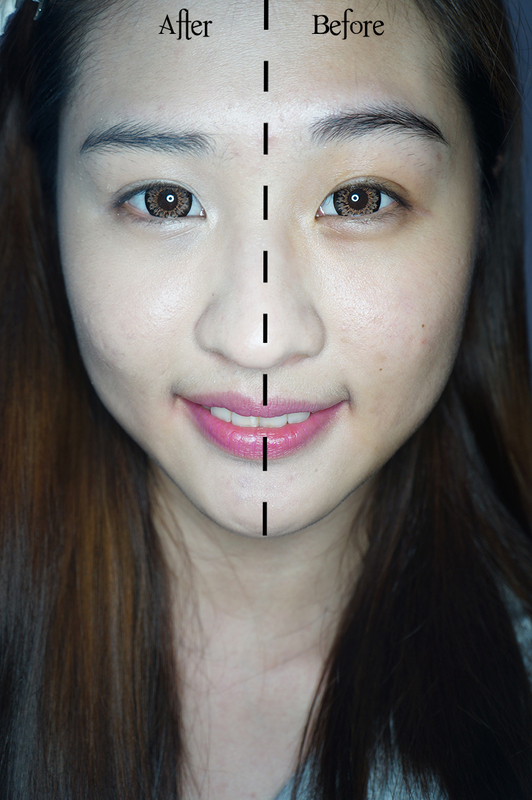 How you might want to apply BB Cushion? It is simple! Use the sponge and press it against the cushion, then gently dap the puff on the skin. My personal advice on this is not to use the sweep method while you are using the sponge applicator. You could try to use the sweeping method or with a foundation brush, but the end result will not be as good as the "dapping" method. This look kind of reminds me of the Chinese Opera Makeup look. With Laneige BB Cushion, though my skin looks very fair in the image, the shade actually matches well to my original skin tone. One layer of BB Cushion on the skin is enough for me to see the difference, and safe the hassle for other coverage needed on the face. 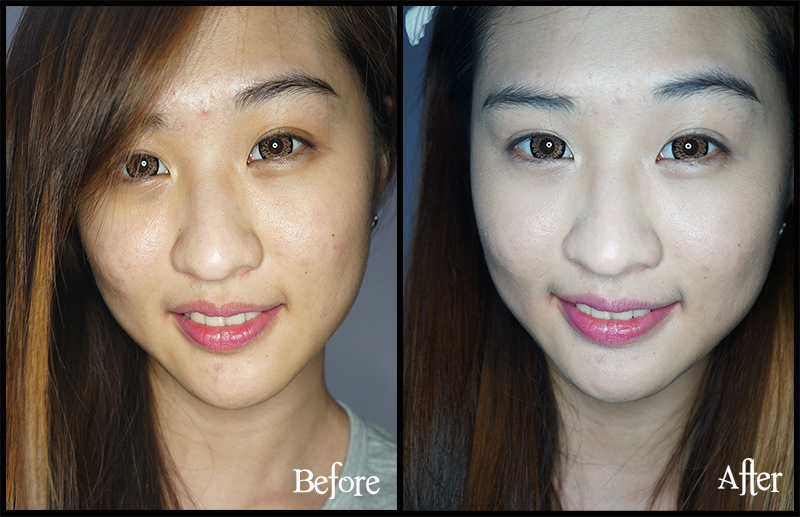 The BB Cushion covers up pretty much all my imperfections and uneven skin tone. My dark circles were covered decently without putting on concealer and yeap, I'm proud to have a pair of natural Korean Aegyo Sal (eye-bags). The red dots on my skin were covered up and achieved a dewy finish look. 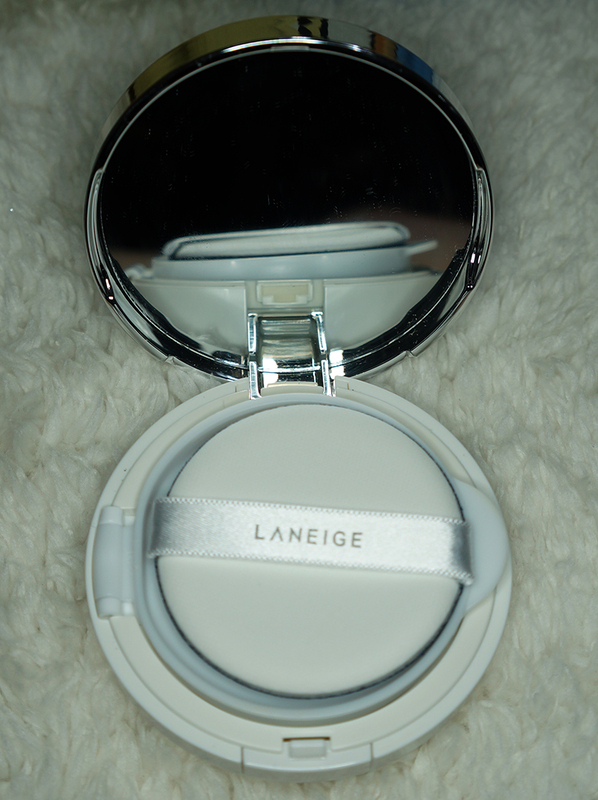 The Laneige BB Cushion gives a glowy finish and there is not sticky feeling on the skin after application. This is another plus point for this product. I like this. I have serious issues with the pores on my cheek areas and previous BB creams always clogged up my pores. 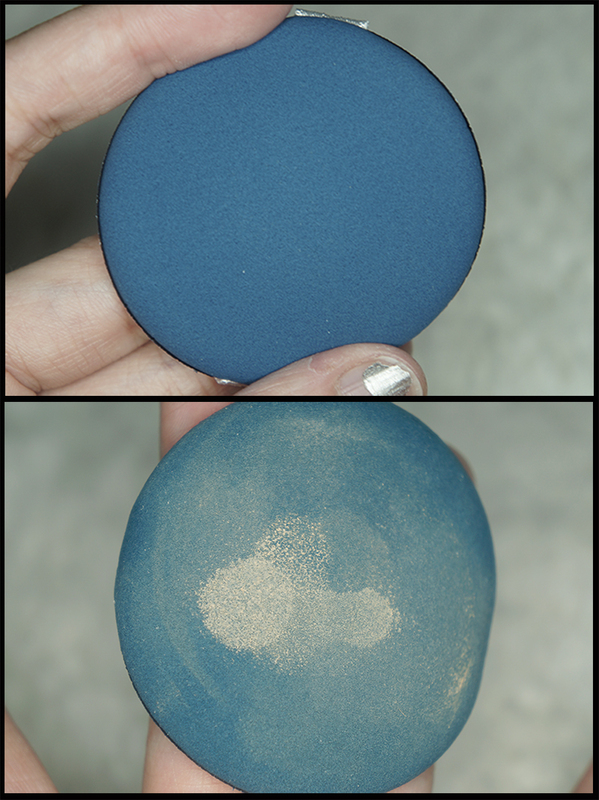 This BB Cushion is very light-weighted and I do not need to apply powder for a matte-finishing. I like the dewy finish on my skin and it stays up for long hours. The only troublesome part of this BB Cushion is cleaning the sponge. I need to take some time and ensure the residue on the sponge is all gone before letting it dries up on its own. Will I repurchase it? Definitely, unless I found another BB Cushion.